Norway and Sweden support a proposal from Finland to hold regularly joint Nordic cross-border military exercises with army troops. Discussing Nordic military cooperation at the annual Swedish national defense conference in Sälen, the Nordic ministers had two big worries on the table: Vladimir Putin and Donald Trump. Although not said loudly in public, the recent developments in the United States cause concern for the Nordic ministers, Danish newspaper Berlingske reports from the conference. Trump reportedly said multiple times last year he wanted to pull the US from NATO, according to the New York Times. The news came on Monday amid the Nordic defense ministers meeting. The newspaper have several sources among senior administration officials claiming President Trump privately said he wanted to withdraw from NATO. Donald Trump told his top national security officials that he did not see the point of the military alliance, the New York Times writes. «It would be the wildest success that Vladimir Putin could dram of,» Michèle A. Flourny, under secretary of defense under President Obama said in a comment to the newspaper. Among the Nordic countries, Denmark, Iceland and Norway are NATO members, while Sweden and Finland are close partners to the alliance. Commenting on the situation, Denmark’s Defense Minister Claus Hjort Fredriksen said to Helsingin Sanomat that close ties with the United States is important. «When US Secretary of Defense James Mattis met the Nordic ministers in 2017, he made it clear that the US is also focusing on our challenges. We must make sure that it does not change,» Hjort Fredriksen said. Last autumn, NATO had its largest exercise in post Cold War times with thousands of soldiers from the non-NATO members Nordic countries. 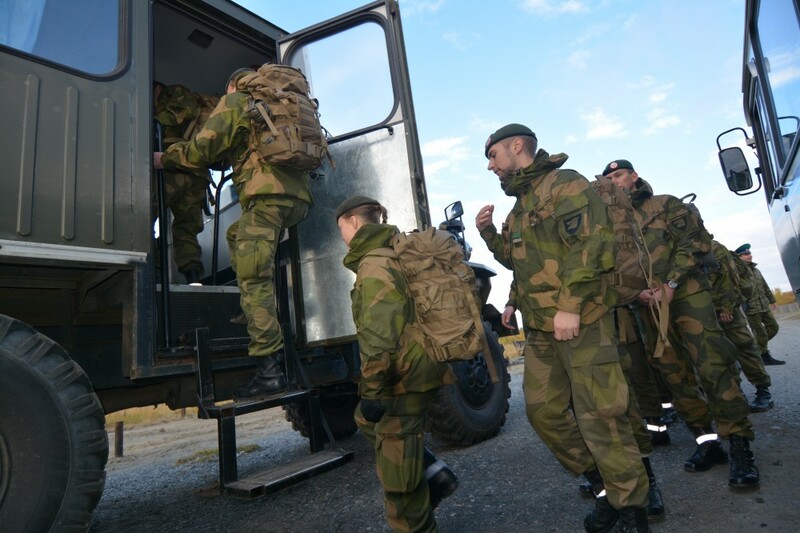 The exercise Trident Juncture took place in mid- and southern Norway. During the exercise, fighter jets and other military aircraft used the air bases in Luleå and Rovaniemi, in northern Sweden and Finland. Joint Nordic air force exercises have been arranged regularly over the last two decades. In Sälen, Finland’s proposal to expand the countries military cooperation further by holding joint cross-border army drills was welcomed by the ministers from both Sweden and Norway, according to Helsingin Sanomat. It is in the north that the three countries have common borders in the regions of Lapland, Norrbotten and Troms & Finnmark. Training of conscripts in each other countries would bring a historic turn to the Nordic military cooperation. Finland’s Defense Minister Jussi Niinistö pointed to the fact that Swedish and Finnish soldiers together are the strongest land powers in northern Europe with 21,000 conscripts in Finland and 5,000 in Sweden. Norway’s Frank Bakke-Jensen said to Helsingin Sanomat that tighter cooperation with joint training of army soldiers is good. «I think this is a good idea and now the professionals in our military forces will see how it would work in practice,» Bakke-Jensen said. Last September, the Norwegian and Finnish Defense Ministers visited military border guards stationed on Norway’s border to Russia’s heavy militarized Kola Peninsula. Interviewed by the Barents Observer at the time, Finland’s Defense Minister Jussi Niinistö praised Nordic military cooperation and said the security situation in Europe has changed after Russia’s annexation of Crimea. But like the Norwegian Defense Minister, neither Niinistö feels any direct military threat from Russia.